Cody has been working in California Desert conservation since 2003. In that time he has led Desert Restoration Crews for SCA, traveled the West as a Leave No Trace Master Educator, and worked as an environmental consultant for federal and state agencies, non-profits, and local municipalities. He has a background in Geology and a passion for the Mojave Desert. These days, he is most content spending time with his young family. 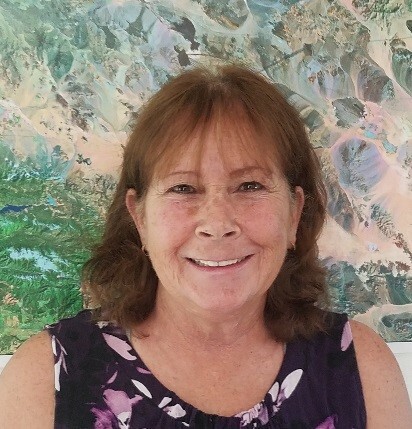 Wendy worked for the Riverside Corona Resource Conservation District doing habitat restoration for four years before coming to Transition Habitat Conservancy. Wendy has studied California native plants and natural history all her adult life, and these field skills still come in handy when providing support for THC's programs, field staff, and volunteers. In her spare time, Wendy enjoys nature photography and exploring the outdoors. Vern and his wife Marge have lived in the west Antelope Valley since the 1950's. Since 1982, they have lived on the north slope of Portal Ridge, where they now manage the Portal Ridge Wildlife Preserve for THC. Their property was the first conservation easement for Transition Habitat, and they hope someday that it will be used as the home for future Preserve managers and an education center for equine communication and Leave No Trace horse packing. They are proud of their association with THC and their relationships with the people that make it such a great organization. Jane began her career in the newspaper business over 30 years ago with the Antelope Valley Press in Palmdale, California. Later, she moved to the Victorville Daily press in the advertising and digital media departments. Jane helped the paper transition to digital media. More recently, she has worked as a licensed tax preparer and bookkeeper. Jane has been with Transition Habitat since 2016. Sue grew up working in the vineyards of Central California. As a child in Clovis, California, she spent most of her time outdoors working with horses and farm animals. Animals are a passion for her. She came to Southern California in the 1970s to work in the corrugated sheets and boxes industry where she performed and coordinated variety of duties for the plant's operations. She helped the plant develop a scrap waste tracking system to improve recycling of material at the plant. Sue has volunteered with THC since 2014 and has been with us as our Land Stewardship Coordinator since 2016.